We were young and travelled the world. We even met on the airplane. We had a baby and we wanted enjoy every single minute with him. As the business grew stronger, we had to travel more and more but this time, not alone. 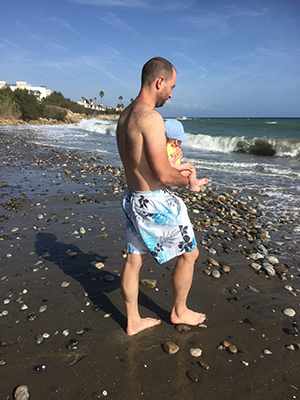 Searching desperately for some basic tips, we couldn't find one place containing all the necessary information for parents travelling with babies. Then the decision was simple. We had to create Baby City Guide. 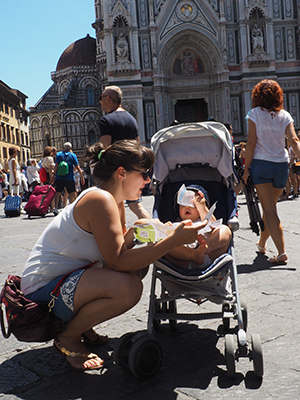 A place, where you find or share an inspiration for unforgettable journey and where you get all the information you need for travelling with infants. Parents know, what parents desire while being on the road. Baby City Guide is the right place for you to rate cities, sights, public transport, buggy walks and many more in just few minutes. Tell the others about all of your great experiences. Only with your help we all can make the travelling pleasant, simple, effortless and above all, full of memorable moments and fun. We believe that with your contribution, Baby City Guide allows all parents to fulfil their travelling dreams. Our son is getting older and we still travel. Easier than ever.